From banners promising big refunds and quick service, the signs of tax time are all around. 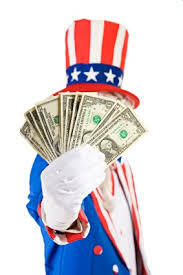 For many Americans tax season brings an expectation of a extra cash. A little something to help with an unexpected expenses, seed for savings or perhaps a down payment. 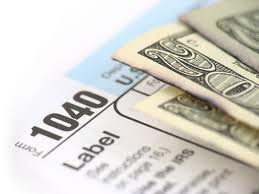 However, many people who file for Chapter 13 find tax season brings an unwelcome surprise: a tax return turnover. Cases filed after January 1, 2010 are subject to an annual return turnover. According information distributed by San Antonio Chapter 13 Bankruptcy Trustee, Mary K. Viegelahn, this means debtors whose plans are over 36 months and are not paying 100% to general unsecured creditors may be required to turn over their tax return to the trustee. The trustee may view the return as disposable income that should be distributed to creditors. This does not mean Chapter 13 debtors are immune to unexpected expenses. Actually, there are situations where a debtor may be allowed to keep a tax return by the court if proper documentation is filed. In the case of the Western District of Texas, a request can be filed with the court. The document is known as a Stipulation For Debtor To Retain Tax Refund and your attorney should be able to help you prepare and file it. Trustee Viegelahn and many other bankruptcy trustees, request debtors provide them a copy of each year's tax return citing 11 U.S.C. 521(f)(1) of the bankruptcy code. Not doing so can result in the trustee moving to dismiss your Chapter 13 case. If you have questions about filing for bankruptcy contact The Law Office of Gerald C. Moton for a free consultation with Mr. Moton.